Okja (film, 2017). A 2017 action-adventure film by Netflix (International)/Next Entertainment World (South Korea). Directed by Bong Joon-ho. Official Trailer. Okja is a 2017 action-adventure film directed by Bong Joon-ho. 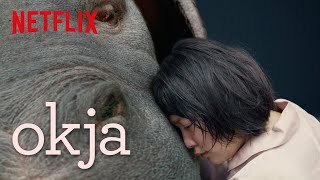 Okja | Trailer | Netflix. In 2007, self-styled 'environmentalist' Lucy Mirando becomes CEO of the Mirando Corporation, succeeding her twin sister Nancy. She announces that they have been breeding a special kind of "super pig". The twenty-six produced specimens are sent to farmers in different locations around the world, and ten years later, one of them will be crowned the winner of a competition to breed the best pig. 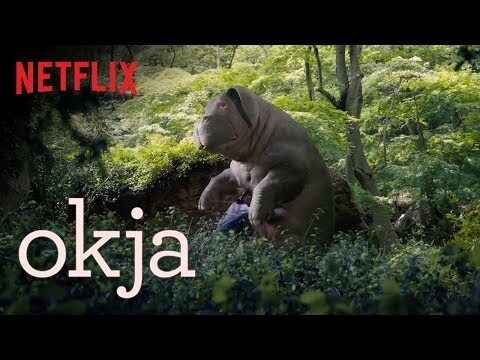 In 2017, a young girl named Mija lives in South Korea with her grandfather and their super pig, Okja. They are visited by Mirando spokesperson and zoologist Dr. Johnny Wilcox, who declares Okja the best super pig and announces they will take her to New York City. Mija's grandfather presents her with a gold pig and explains to her that he saved up money to buy the solid gold item to replace Okja when she was taken away. Devastated, Mija runs away to Seoul to find Okja, where she sees her as she is being loaded onto a truck. Mija chases down the truck but it is intercepted by the Animal Liberation Front (ALF). In the resulting chaos, Mija and Okja run away but are eventually saved by the ALF, led by Jay. 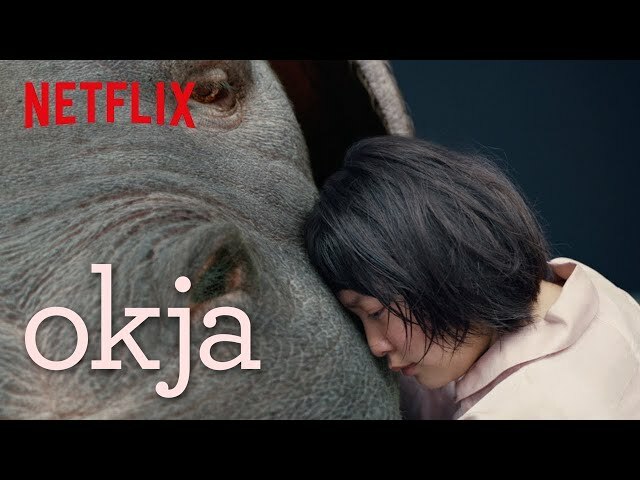 Jay uses another ALF member, K, as a translator to tell Mija that they plan to put a recording device in Okja's ear and let her be re-captured by the Mirando corporation to show how they mistreat their animals. Mija tells them to return her to the mountains but K tells the group that Mija is in agreement with their plan. They abandon her, and Okja is recaptured. To minimise the PR damage to the company, Lucy pays for Mija to come to New York to be reunited with her pig. Okja is taken to a laboratory where she is forcibly bred with another super pig and flesh is taken from her for a taste test. After the ALF sees the footage, K reveals that he lied to the rest of the group about Mija's support of the plan. Jay attacks K, and expels him from the ALF. The film Okja was scheduled to be released by Netflix (International) and Next Entertainment World (South Korea) on May 19, 2017 (Cannes), on June 28, 2017 (United States) and on June 29, 2017 (South Korea). The duration of the film is 120 minutes. With a budget of $50 million, the film grossed over $2.1 million. Okja got high rating from critics. The audience also likes the film.